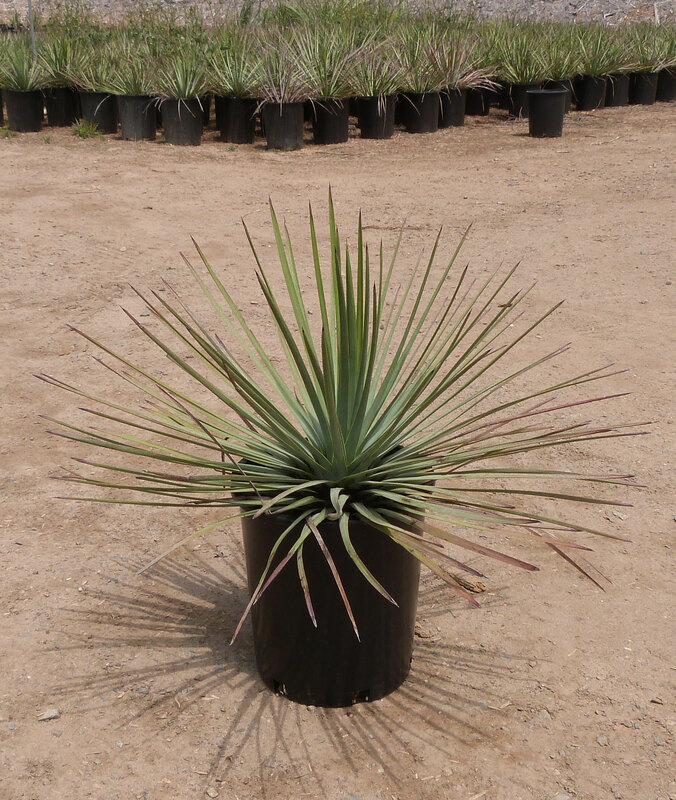 One of the showiest of all agave relatives, Hesperoyucca whipplei, is native from southern California to Arizona. The striking foliage is blue to gray-green in color and provides beautiful contrast to darker foliage plants. Plants growing in a rosette pattern. Once the main plant is several years old (typically 6- to 7-years old), it produces a tall flower stalk that is covered with waxy cream-colored bell-shaped blooms. Flowers can vary a bit in color from white to tinged with purple and typically appear in mid-spring through summer. When planted en masse, plants are stunning in bloom. Flower stalks can reach 15-feet in height. Once the plant has flowered it will die. Yucca moths gather pollen from the plants, which are then pollinated by them. Plants seem to prefer a slightly more coastal climate, rather than a desert one. So while they are drought tolerant, they do best when provided some supplemental irrigation. The tips of the leaves are quite sharp, so consideration should be given when placing in high-traffic areas. Makes for an excellent shrubby addition to landscape borders or can be planted en masse in larger landscapes. Plants can also be grown as container specimens. Provide well-draining soil.